Fleet and lease values at BCA rose by more than 10% year-on-year in September while average used car values also hit a new record. Strong trading, both in-lane and online, saw average fleet and lease values climb by £648 (5.7%) compared to the previous month, to reach a new benchmark for the fifth time in 2018. The retained value against original MRP (Manufacturers Retail Price) improved by one and a half percentage points to 45.47%. Year-on-year values improved by a substantial £1,093 or 10.1% over the year, with age rising and mileage falling. 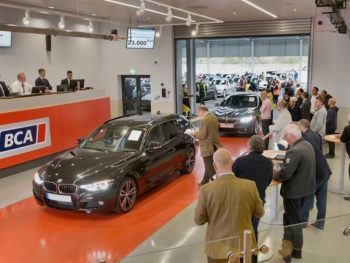 Average month-on-month used car values at BCA rose by £184 (1.9%) across the board during September 2018, reaching £9,881, the highest point recorded since the firm’s Pulse report began publishing. Year-on-year values rose by £764, an 8.3% rise over the 12-month period.